Cider vinegar has great flavour qualities that make it marvelous for seasonning many dishes. 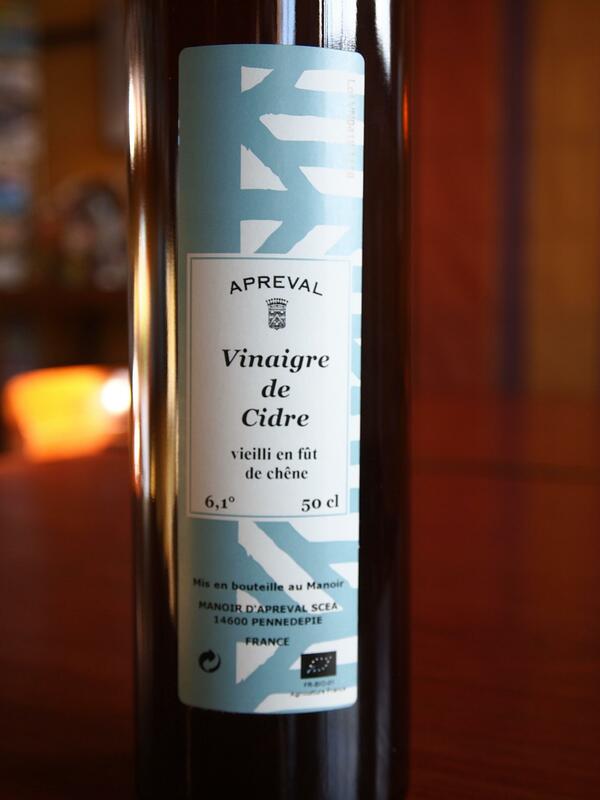 We decided to produce our own vinegar from our ciders and chose to have very high quality standards. We age our vinegar 4 years in oak barrels before putting it in bottles. The tannins from the oak will give a slightly sour hazelnut taste that is very appreciated by cooking enthusiats who love using it to season various salads. Cider vinegar also has remedial virtues : it contains around thirty important nutritive substances, a dozen minerals, over half a dozen vitamins and essential acids, several enzymes and a fair dosis of pectines. In the old days every farmer used to produce his own and used to take small quantities of it every day, it's medical virtues are now being rediscorvered.